Atlantis Dive Center in Oia is a Cousteau Dive Centre. High on the caldera, hikers take in the vast views of the Aegean Sea on the path from Fira to Oia. Hundreds make the trip every day, some blissfully unaware that, deep down into the blue, a different kind of explorers swim with the sons of Poseidon to investigate rare thalassic treasures. Jacques-Yves Cousteau was in love with the Aegean when he sailed the Calypso to Thira to find the Lost City of Atlantis. The Atlantis Dive Center in Oia will take the most experienced divers on a secret underwater route to show them a commemorative plaque dedicated to the famous French oceanographer. The monument is cared for by Apostolos Stylianopoulos, the first Cousteau diving instructor in Greece, and the Atlantis Dive Center is one of the very few Cousteau Dive Centres in the world. This bears some weight because Cousteau dive centers are proactive communities concerned about the marine environment. The Atlantis Dive Center caters to experienced and beginner divers alike. They customize their private diving tours to meet your needs. They start from Amoudi, and they can take you near the volcanic islands of Caldera, Nea Kameni, Palea Kameni, Thirasia, and Aspronisi. If diving seems a tad too extreme for your fancy, snorkeling might just cut it, especially if you want to explore the first layer of the depth of the blue with your children. The shallow waters around the volcanic islands of Santorini are ideal for snorkeling, and you and your party cannot get lost because the diving center provides a certified instructor to guide you whenever you need one. 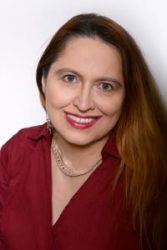 They are not the only ones, but they rock because they have that particular dive that takes you to the commemorative plaque of Jacques-Yves Cousteau. This symbolic marine paragon was set in place in a cave at seven meters off the coast of Santorini in 2011 by the son of the explorer, Pierre-Yves Cousteau, and Alexander Reichardt, who designed it. Santorini Dive Center is another destination for diving and snorkeling enthusiasts. They know the best diving spots in the area to see colorful sponges, nudibranchs, groupers, snappers, and many schools of fish. This station is in the southern part of the island, at the foothills of Akrotiri, not far from the famous archaeological site and museum. If you plan diving with them, you should definitely make time to see the Minoan Bronze Age settlement. It’s a monumental site, well preserved by the Minoan eruption of Thera at the half of the second millennium BCE. Diving tours with Santorini Dive Center end with Greek mezze at Taverna Remezzo next to the station. The Volcano Dive Center – part of Scuba Greece – is on the south-eastern side of the island, on the beach of Kamari, quite a scenic spot. They offer scuba diving experiences for all skill levels, as well as snorkeling tours around the Volcano and the Caldera. 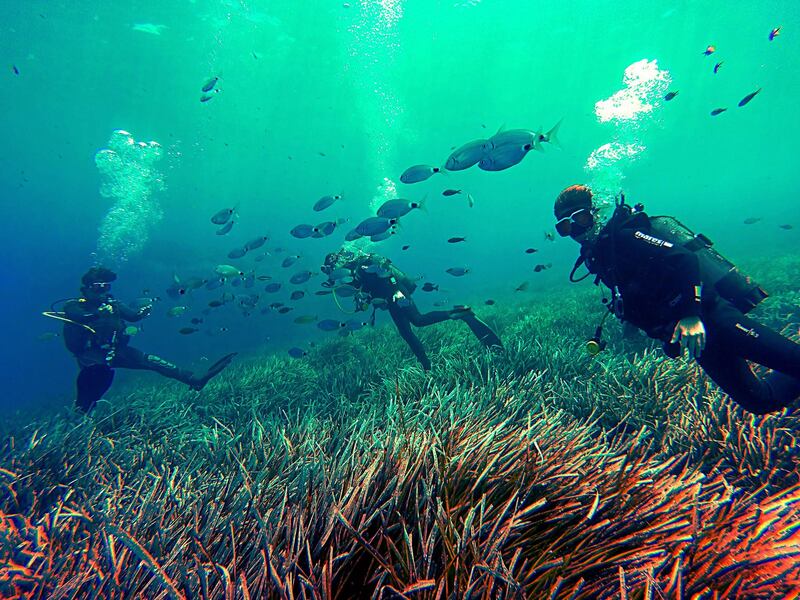 With them, you can explore 35 dive sites, including the Kamari Beach rocks, Kamari Wall, and the Kamari Reef. They are also worth choosing for the dives at the Vlychada Temple, which is an artificial marine park with underwater statues and sculptures. Navy’s Waterworld Dive Center is in Kamari too. They are very knowledgeable of the marine flora and fauna, and they have a very informative website to help you learn about the diving conditions of Santorini. One of their most interesting dives is at the wreck at Nea Kameni. They have private diving tours, snorkeling trips suitable for children aged five or older, and all kinds of diving training classes for professionals. 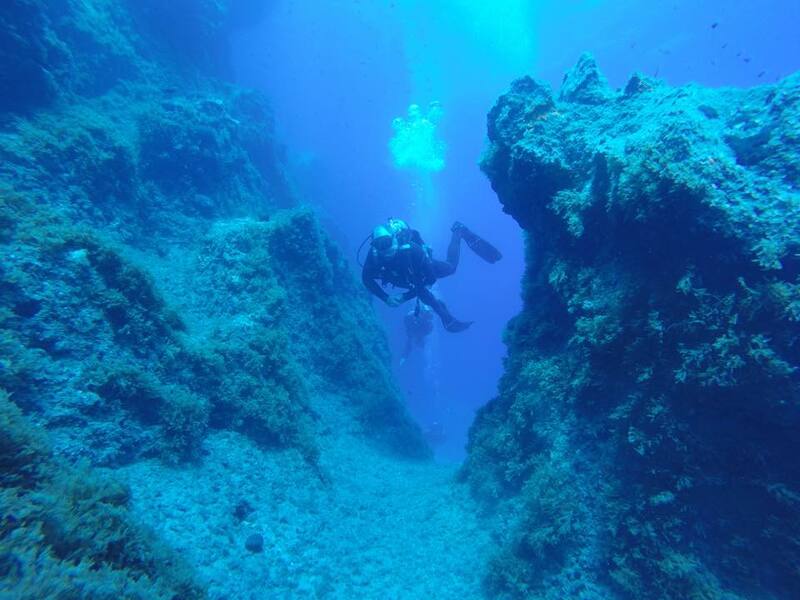 Another good choice for diving in Santorini is Aegean Divers. 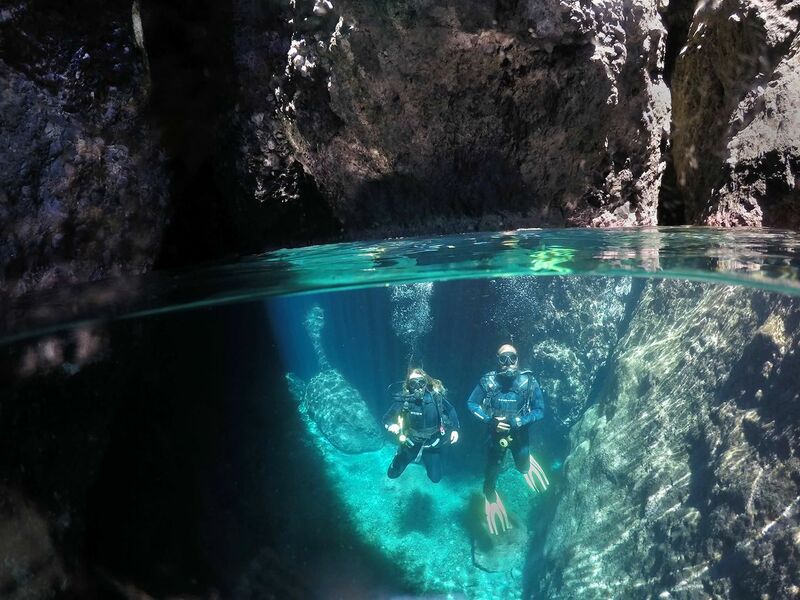 This company enjoys a beautiful location in Agia Irini-Pyrgos, not far from the ferry port Athiniós, and has a more extended roster of diving sites – about 40. They offer a variety of wall and reef dives, as well as night dives and private tours. 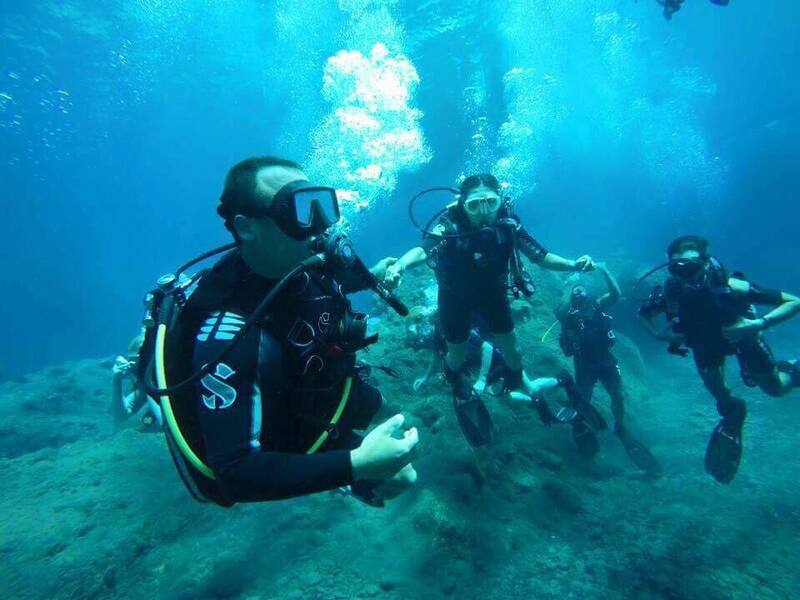 Plus: experienced divers can refresh their skills with Aegean Divers too. Interested parties can join emergency first response classes and training programs to earn scuba certification. No snorkeling. The Mediterranean Dive Club is another well-known diving center on Santorini. It has a long tradition, counting among the first businesses of its kind to serve the Greek islands – it opened in 1998. Perissa, where the club is headquartered, is near the Ancient Thera settlement on the famous Mesa Vouno rock – take time to visit these landmarks after your dive. The Mediterranean Dive Club, or MDC, as it’s also known, offers snorkeling excursions and dive trips for certified divers every day. They have PADI training and equipment rental too. Most of these diving centers on Santorini offer tours for beginners too but book ahead if you plan to vacation here in the summer, because the island gets very busy from June to late September. In fact, Santorini is so visited that CNN Travel included in on its list of 12 destinations travelers might want to avoid in 2018, and this is not the only industry expert recommending alternative destinations. Fortunately, the deep blue is still peaceful enough to appeal to divers. Plus, as you probably know, diving is good for your health. It’s building endurance as it works all the muscles in your body, and, according to experts, you burn 220 calories for every 30-minute dive or swim. 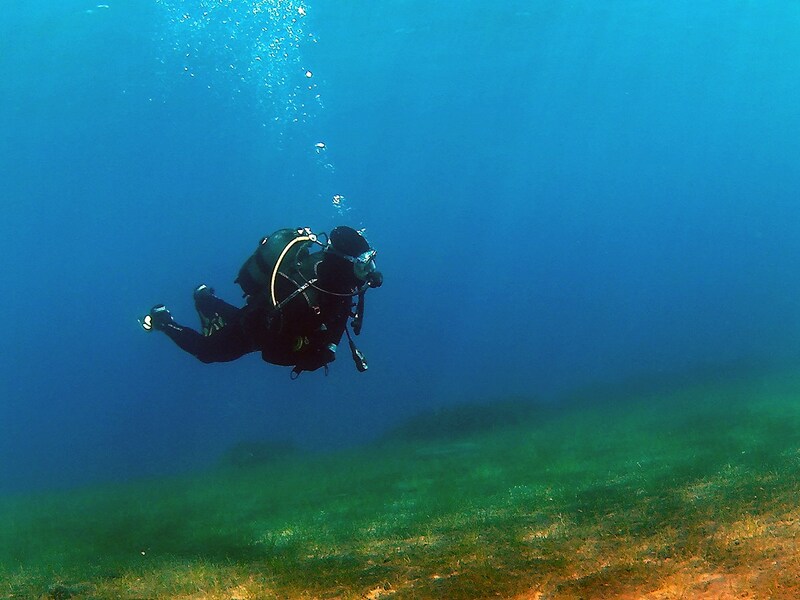 But, perhaps the best thing about diving is the peaceful environment that helps you relax. Plus, observing marine life is an enriching and rewarding learning experience.